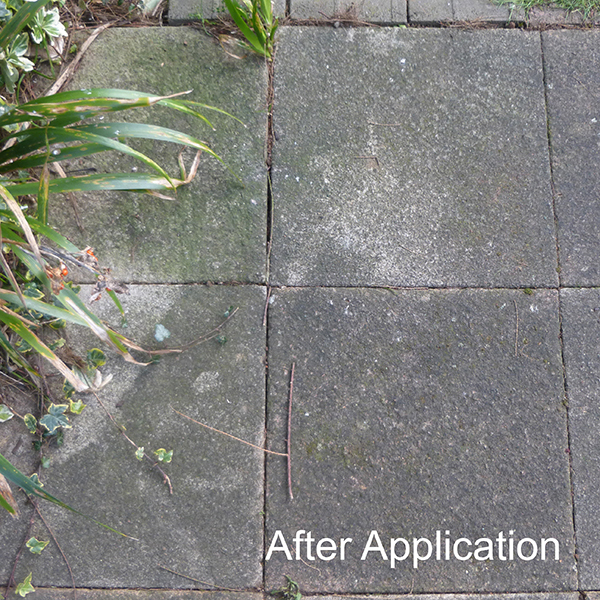 There's never been a quicker, easier way to clean stonework, masonry, concrete and brickwork roofs. 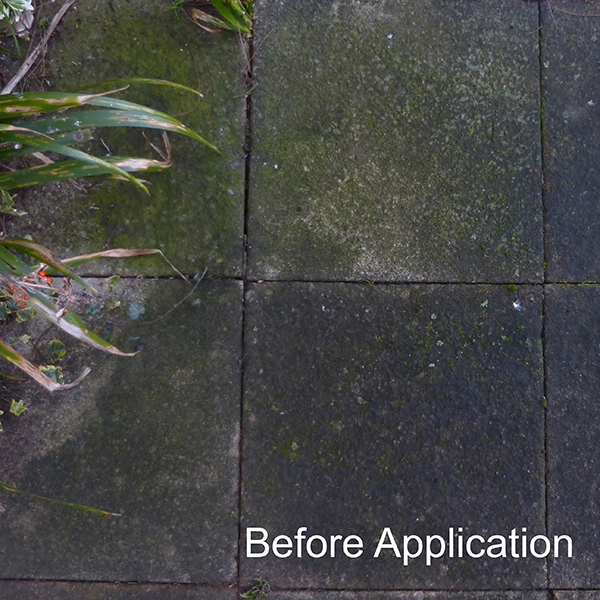 It's specially formulated to target dirt, algae, mould, moss and lichen micro-organisms. You simply spray, leave to dry and the job's done. 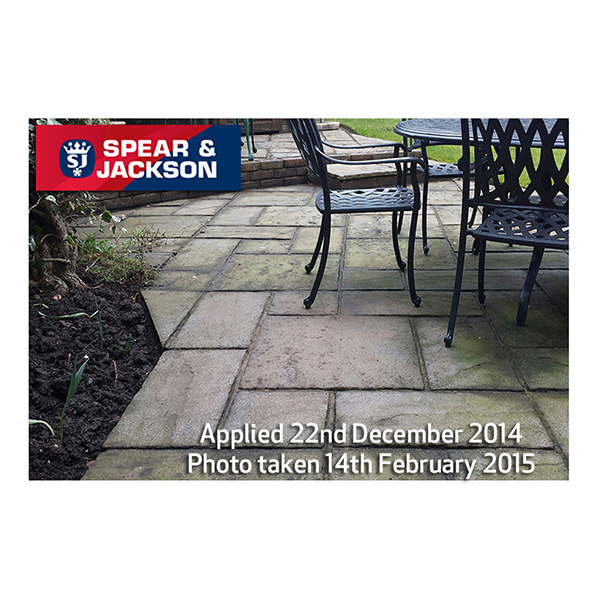 Ideal for paths, patios, driveways, steps, headstones, garden ornaments and much more. What's more, this remarkable formula protects as well as cleans - repelling dirt and killing algae and moss growth, meaning your stonework stays looking pristine for much longer. 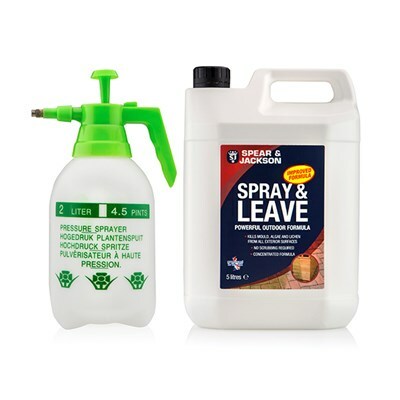 It features a unique combination of biodegradable selective surfactants that, when diluted with water and applied, immediately attacks algae, moss, mould, gunge and grime on any exterior surface. 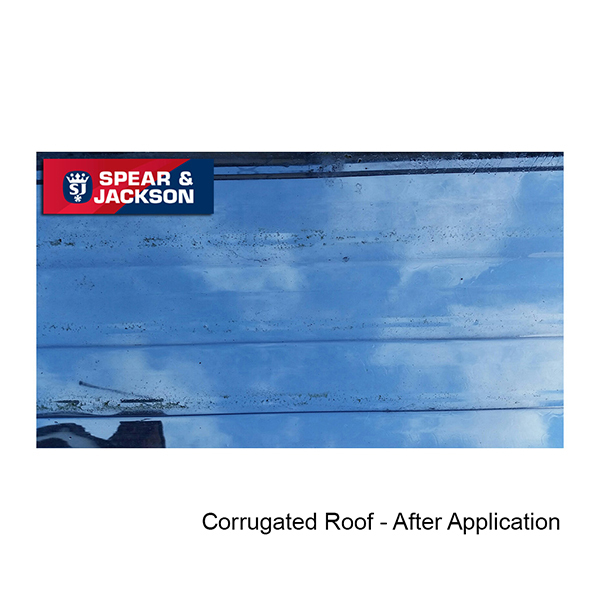 Tackle those unsightly patches on your wall, driveway or windows with this easy-to-use Spray and Leave concentrate. 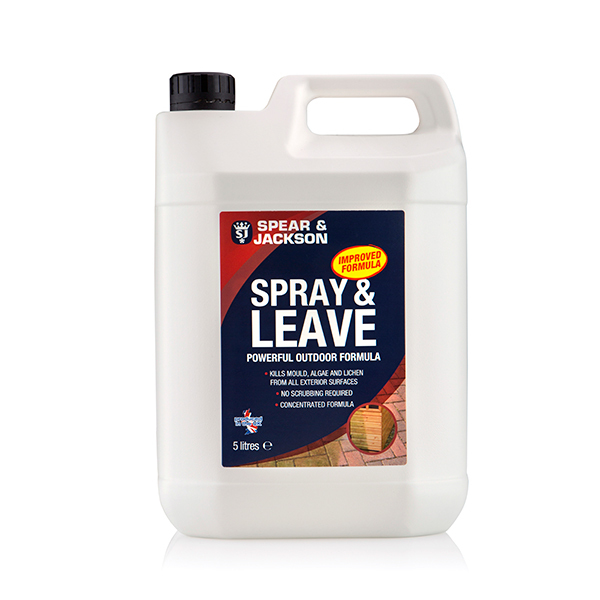 Spray and Leave 5 litres of liquid concentrate makes 25 litres and treats up to 200 sq. m. Removes green mould, algae and kills moss. 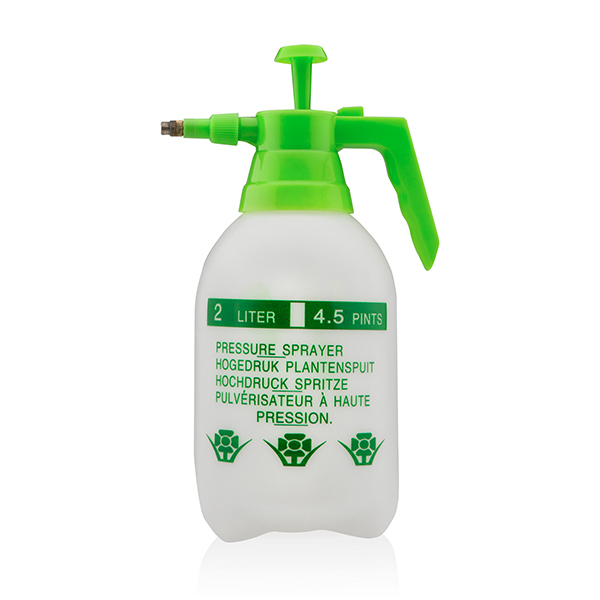 2 litre pump action pressure sprayer with pressure release valve. The translucent, graduated bottle is labelled in litres and gallons for accuracy when filling, or mixing within the bottle. Frost proof bottle with adjustable brass nozzle from spray to mist, lockable trigger mechanism. Use with water and non viscous water based or soluble products including pesticides, herbicides, insecticides, fungicides, fertilisers. Note: This product cannot be delivered outside of mainland UK. Warning: Please use biocides safely and always read the label and product information before use. 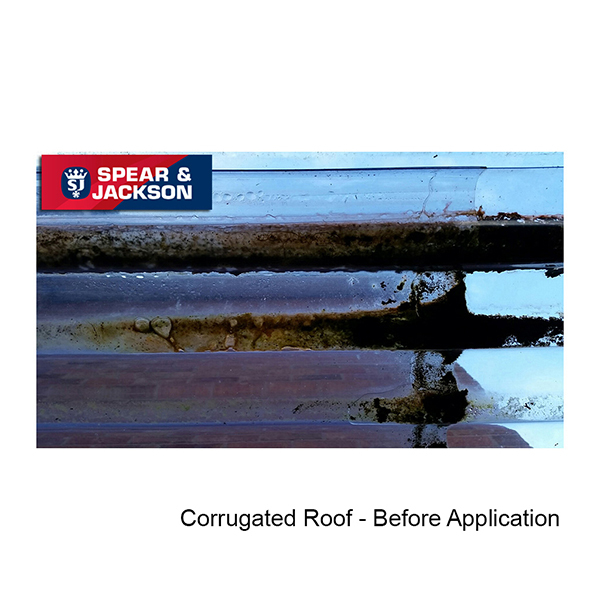 Over the years, Spear & Jackson’s products have become widely recognised for their heritage and high quality. The organisation has come a long way since 1760, and the Spear & Jackson Group now manufactures and distributes garden tools, metrology equipment, woodworking tools and magnetic equipment, with divisions across England, France and Australia, Spear & Jackson distributes products throughout the world.